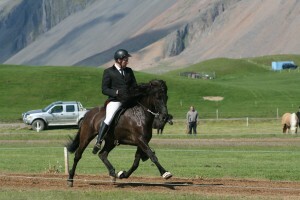 The foundation mare oft he breeding at Horn is Rikka frá Fornustekkum, born in 1978 died 2005. There are 11 offspring of Rikka of which three first price mares, two oft them are now in breeding at Horn, Möl (8,01) og Von (8,17) frá Horni. 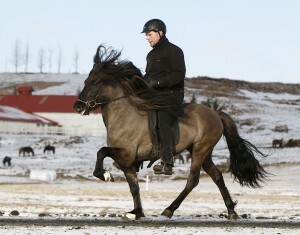 Möl has also given two first price mares, which are also in breeding, they are called Grús (8,16) og Krús (8,00) frá Horni. 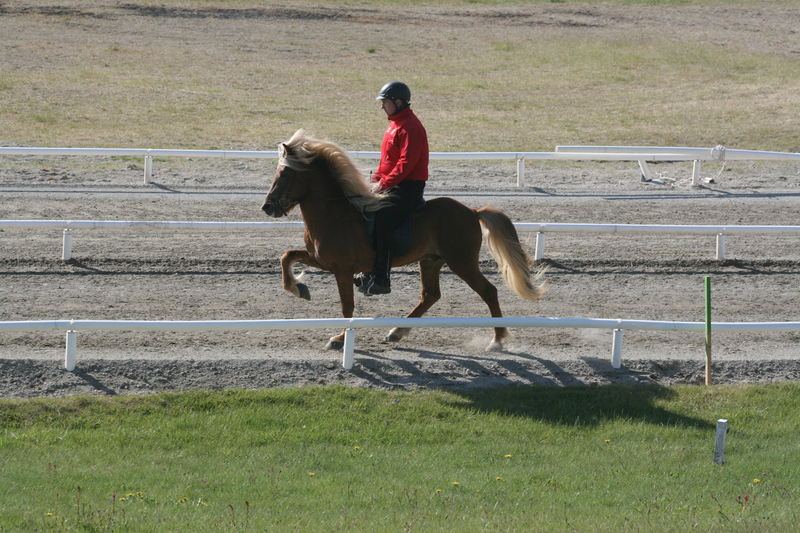 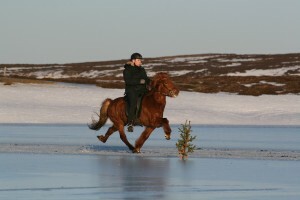 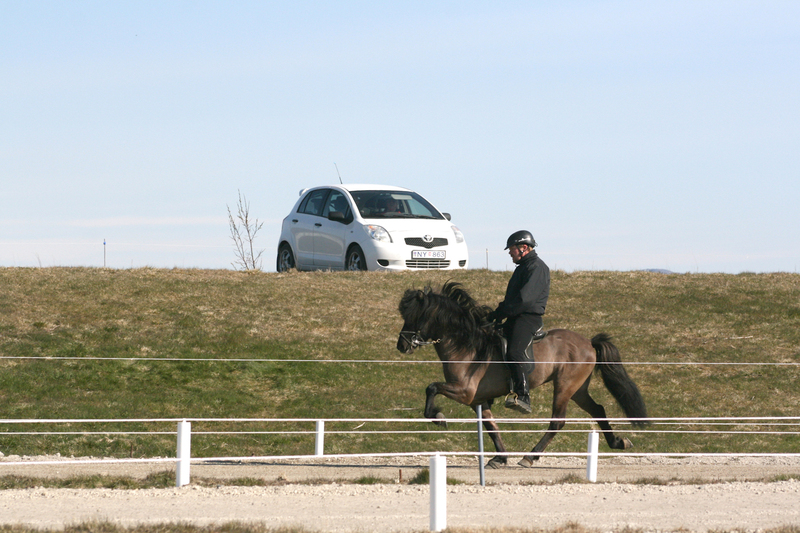 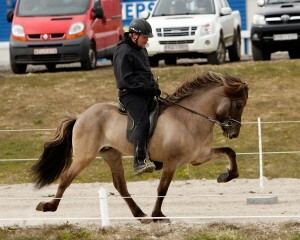 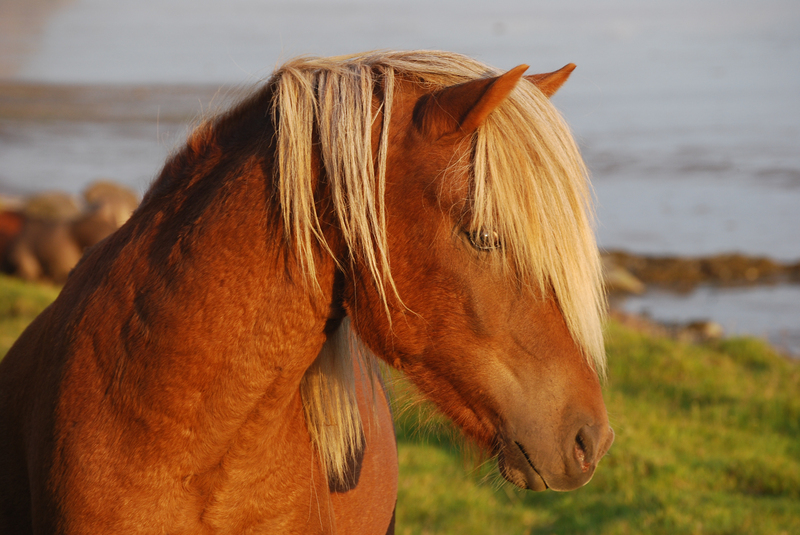 Most offspring of Rikka are fourgaited horses, with very easy and beautiful tölt. 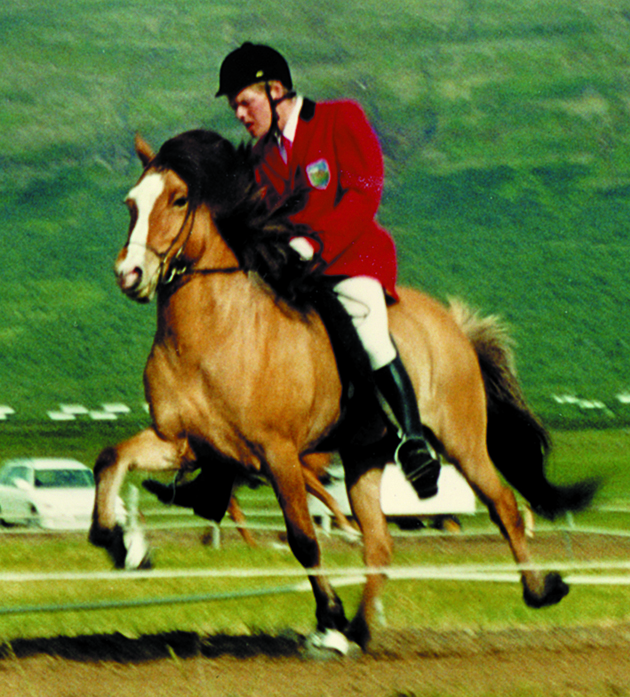 Another very important mare at Horn is Flauta frá Horni, born 1995. 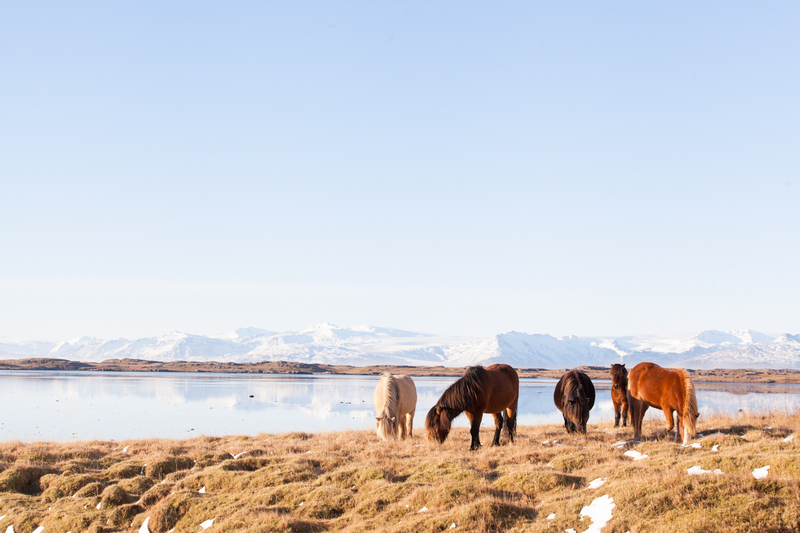 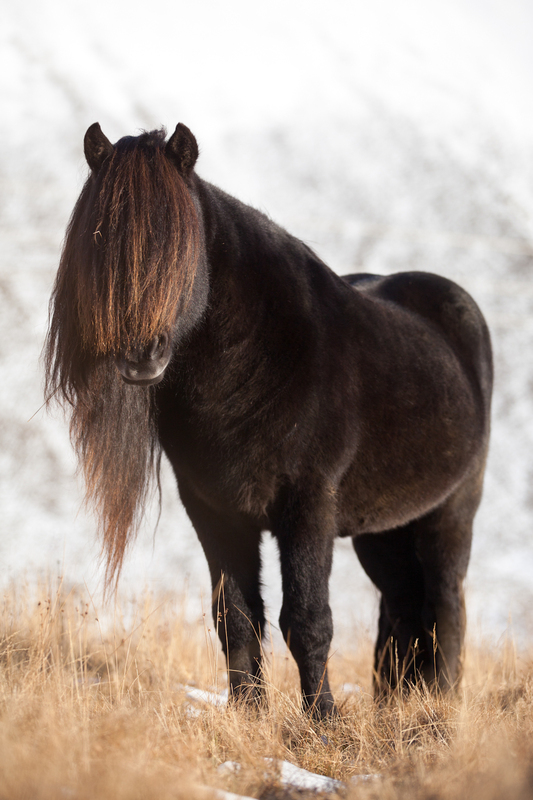 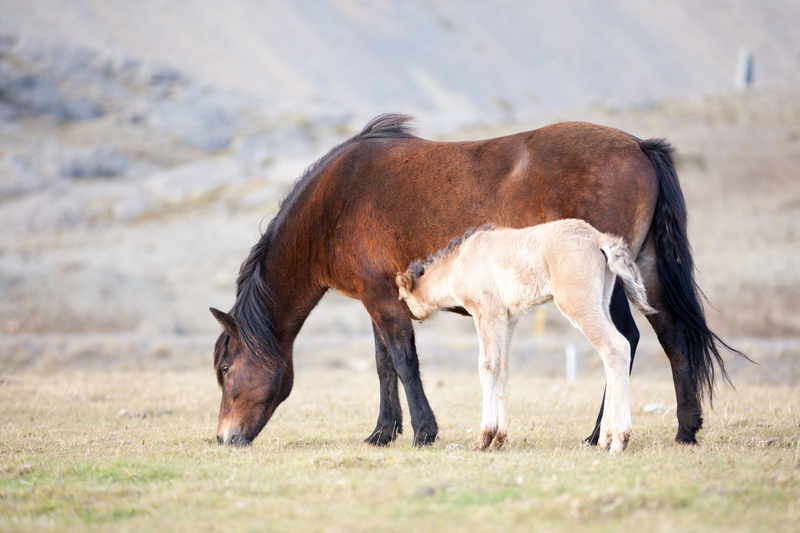 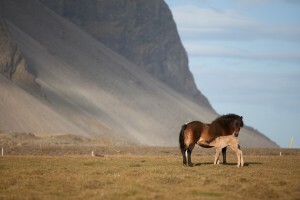 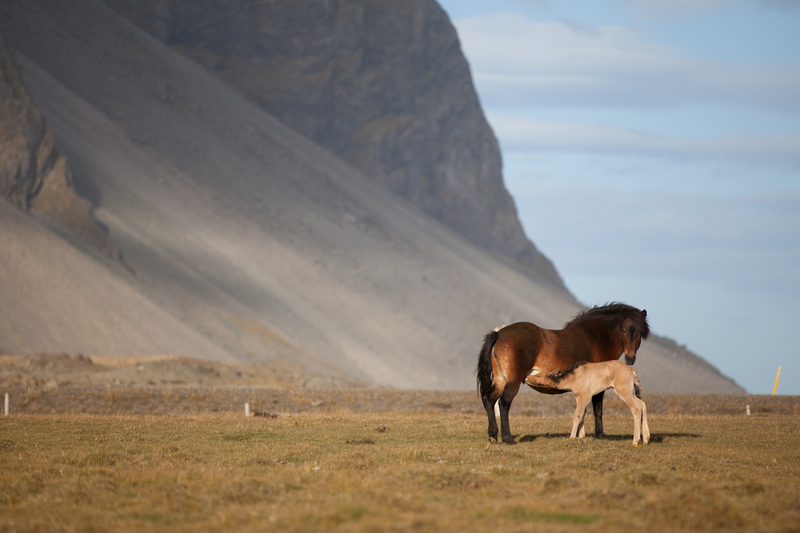 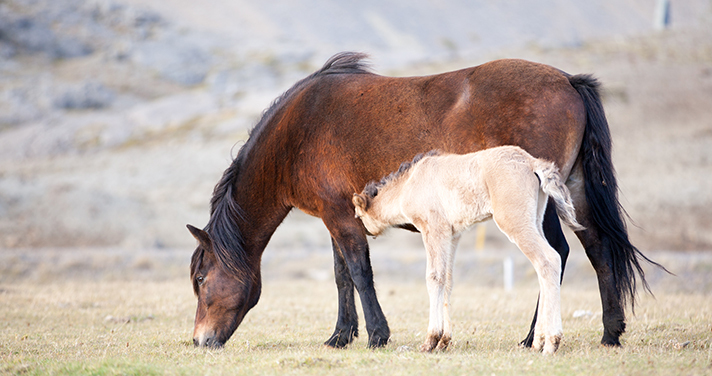 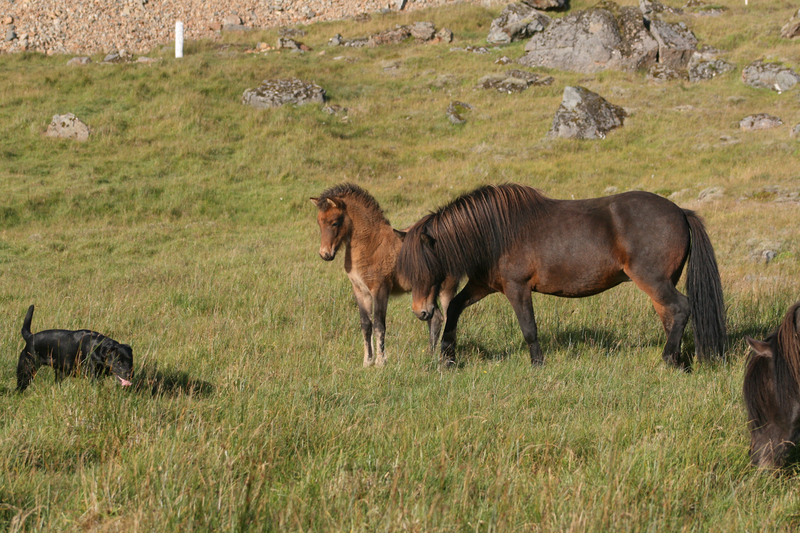 This mare is a very nice mixture of the old Hornafjörður and the Svaðastaðaline, as sire is Spuni frá Miðsitju and dam is Frostrós frá Sólheimum. 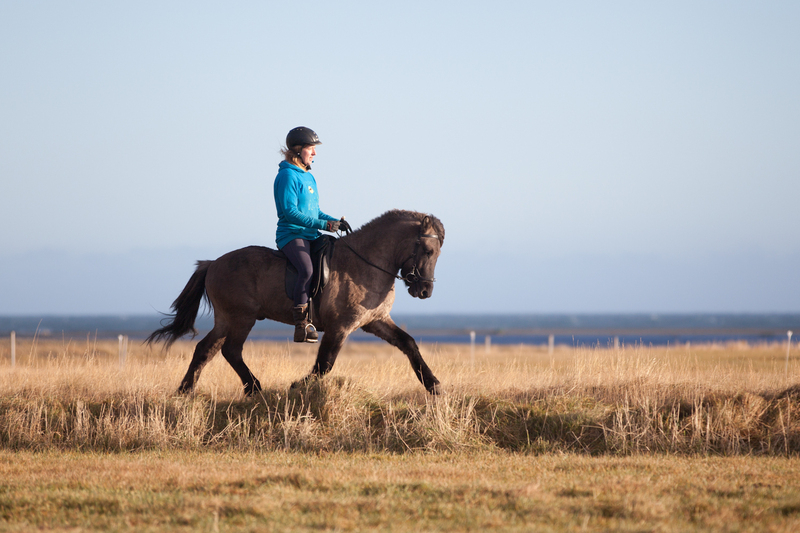 Flauta has proofed herself to be a very good broodmare who has given four first price offspring so far, three stallions Flygill (8,37), Fákur (8,31), Hljómur (8,15) frá Horni and one mare Fljóð (8,03) frá Horni. 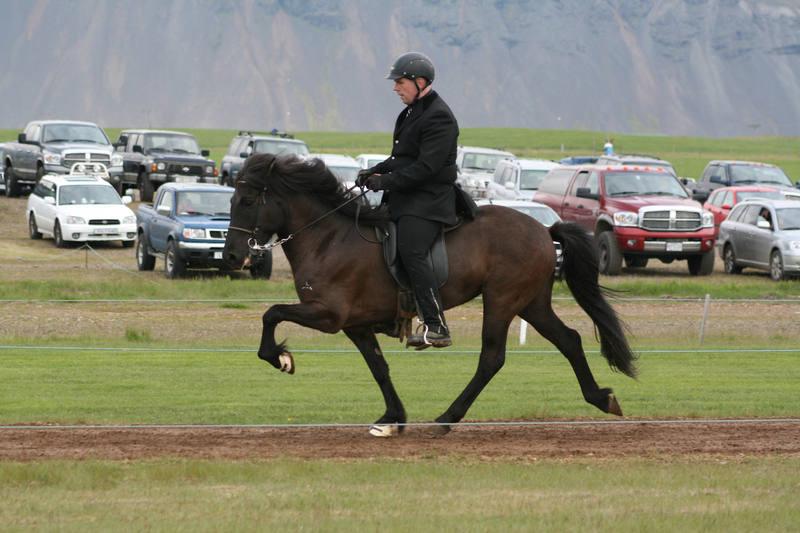 Þula frá Hólum í Hjaltadal is the higest judged mare here in Horn. 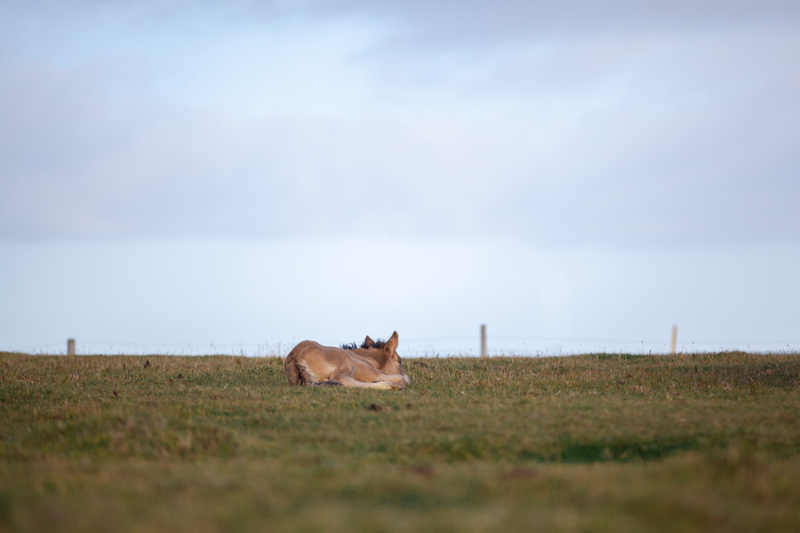 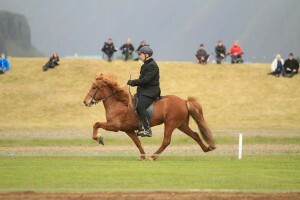 Half of her is owned by Ómar Antonsson while the other half is owned by Pálmi Guðmundsson a shopmanager in Höfn and therefore every other of her foals is called frá Horni I. Þula was on the first place in the class of seven year and older mares on Landsmót 2000 in Reykjavik. 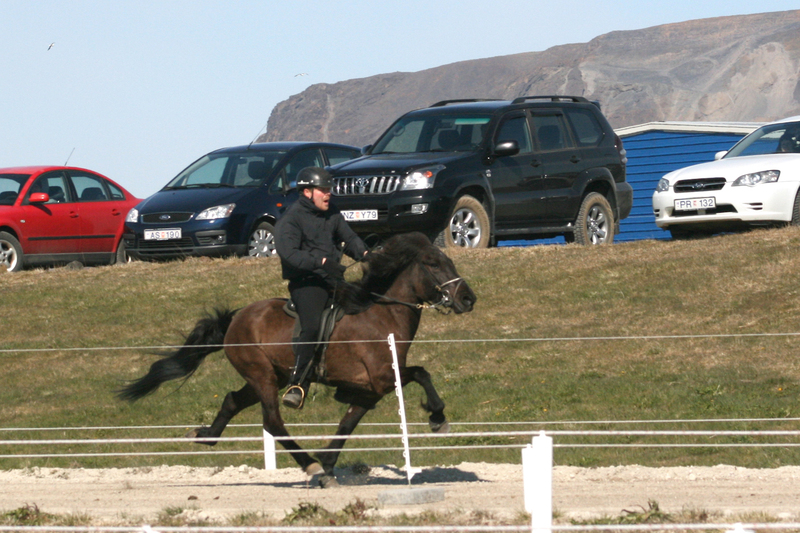 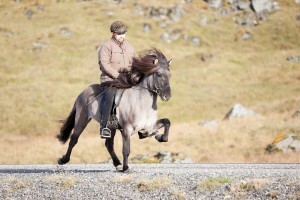 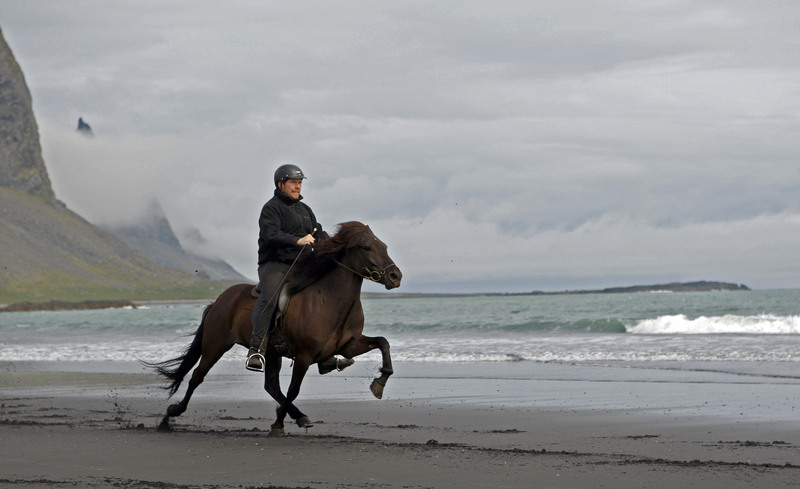 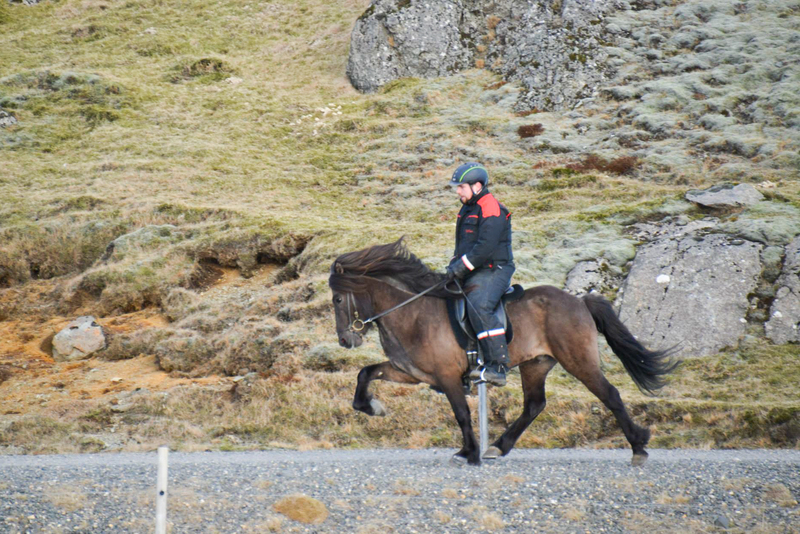 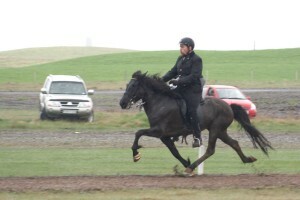 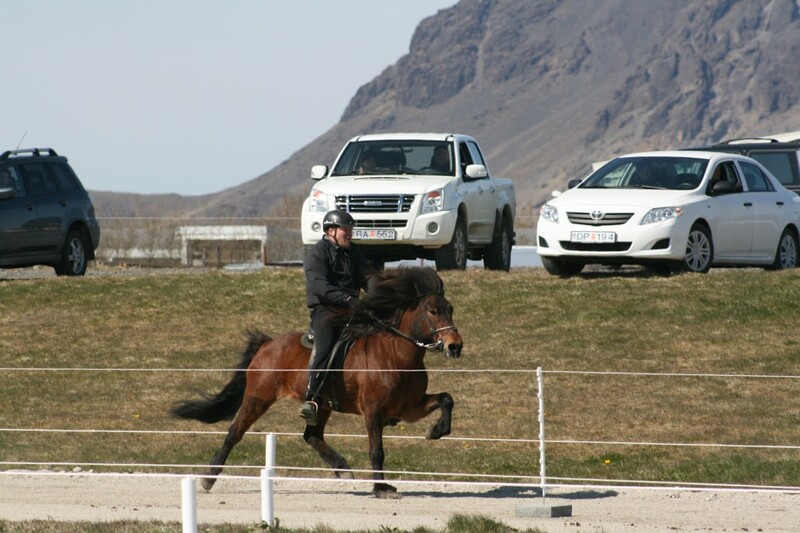 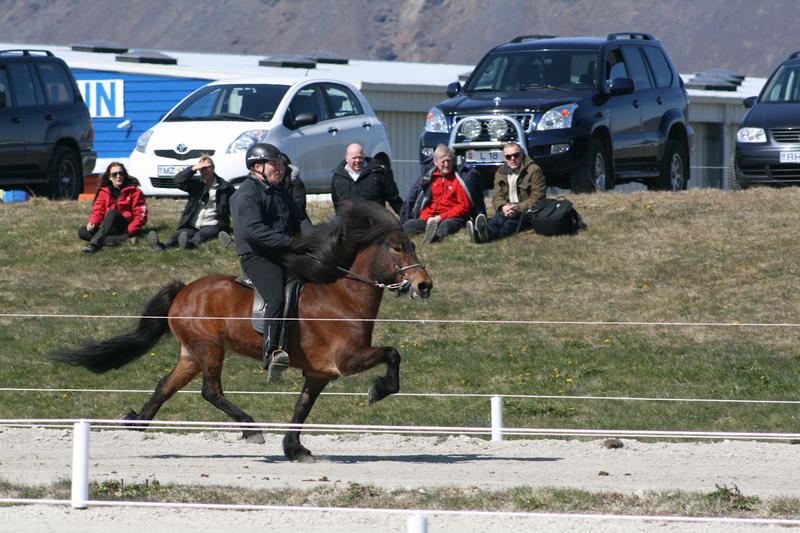 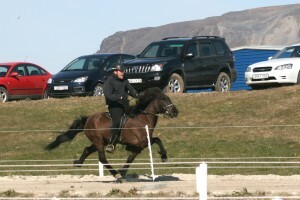 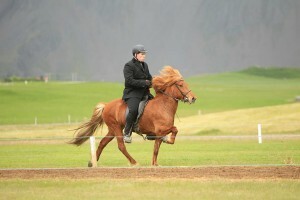 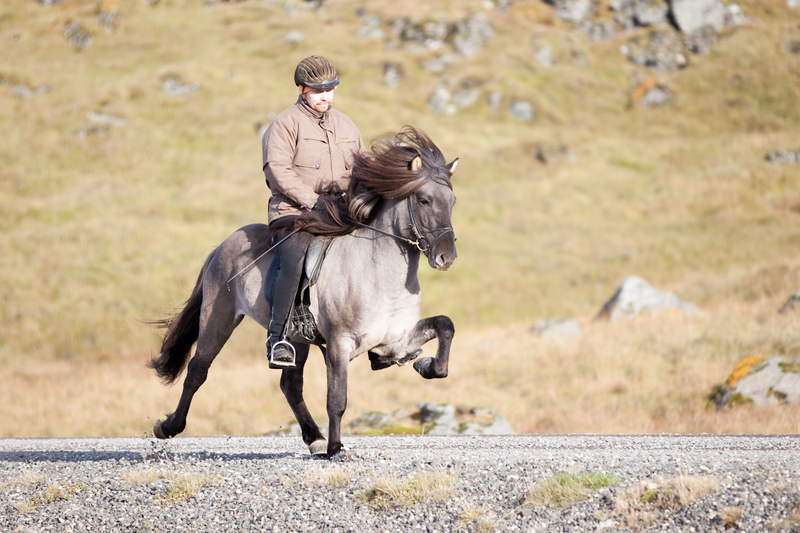 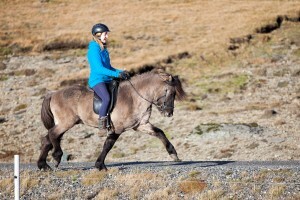 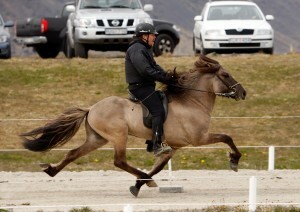 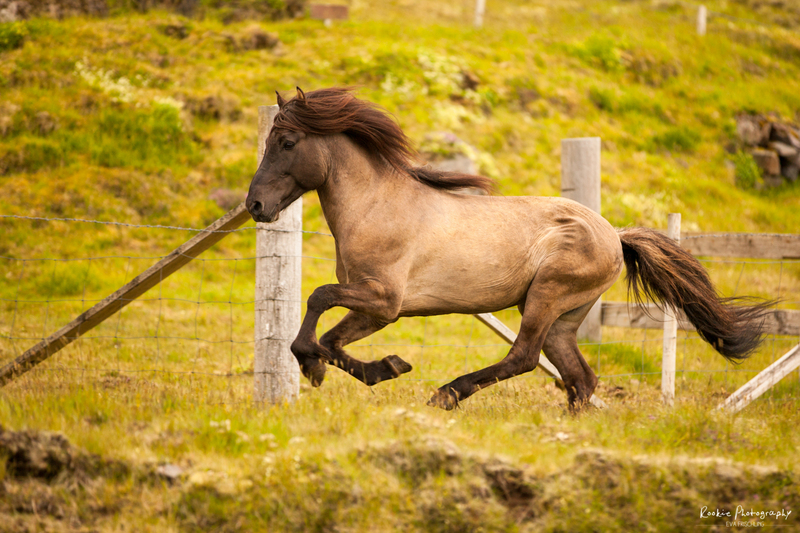 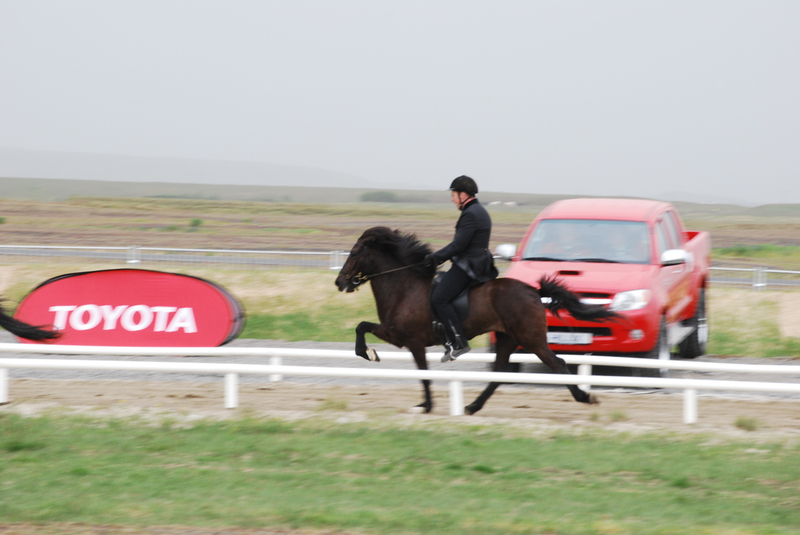 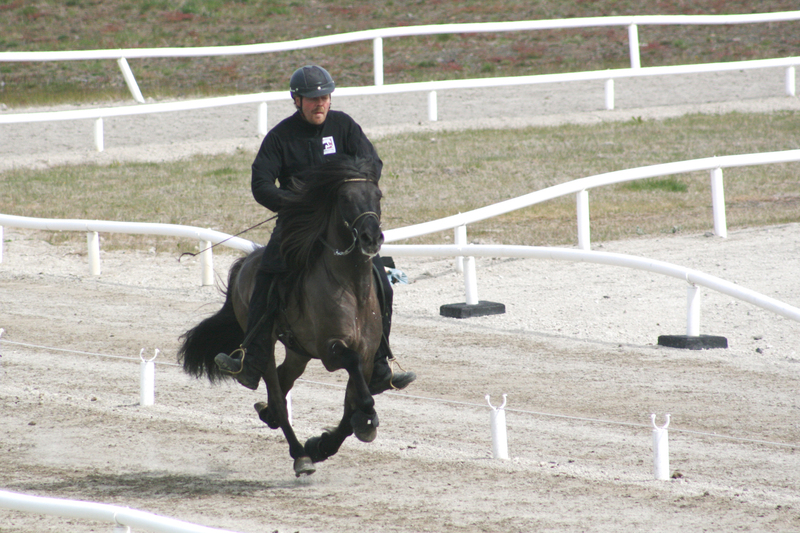 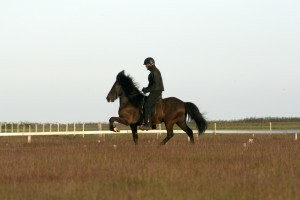 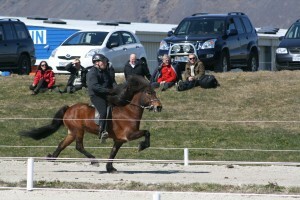 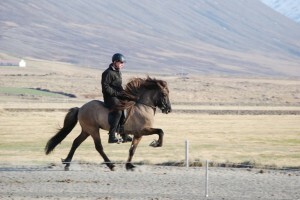 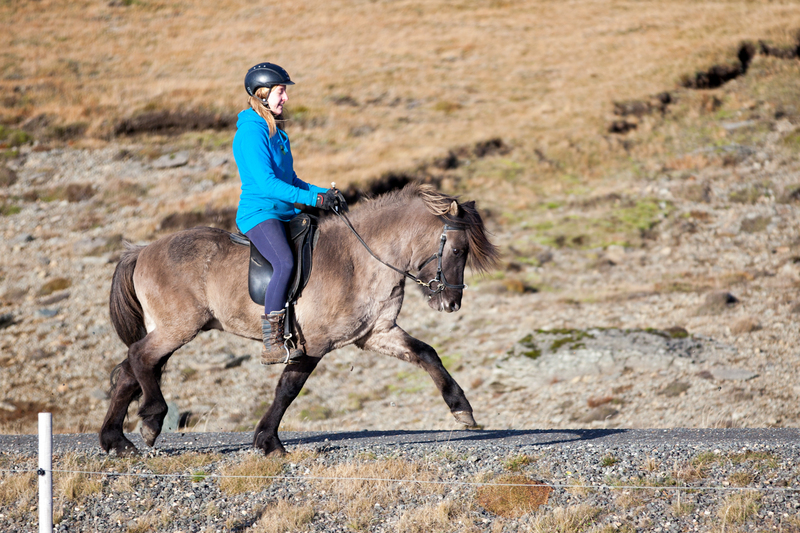 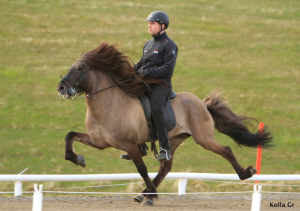 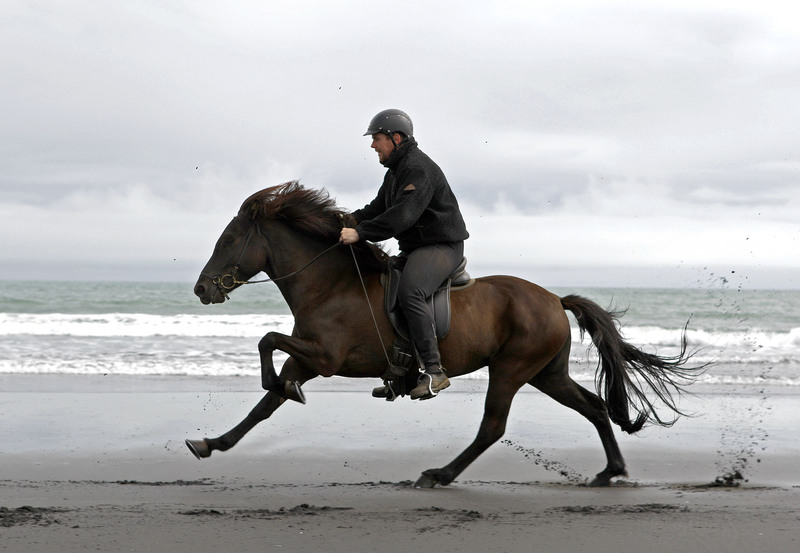 A Gæðingur by example, with extreme speed in all gaits. 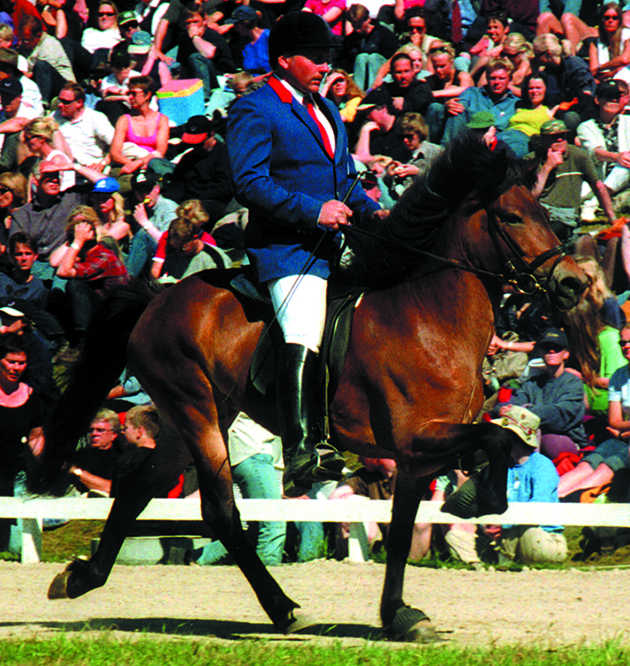 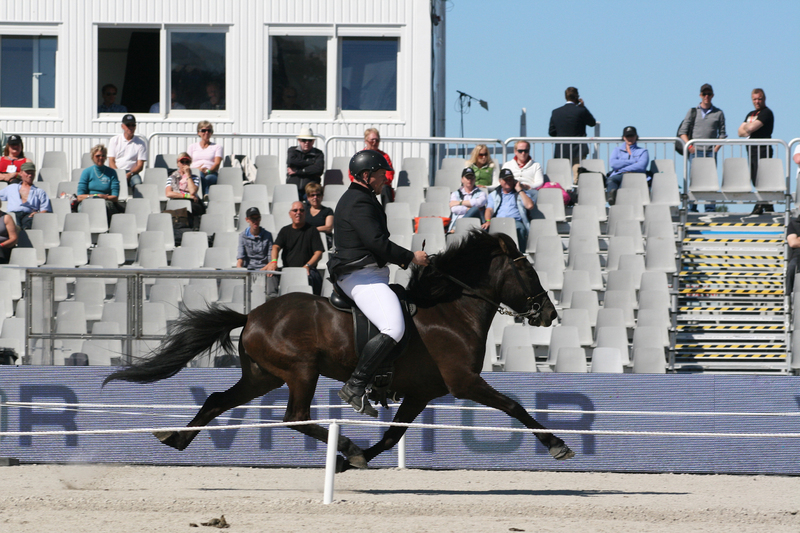 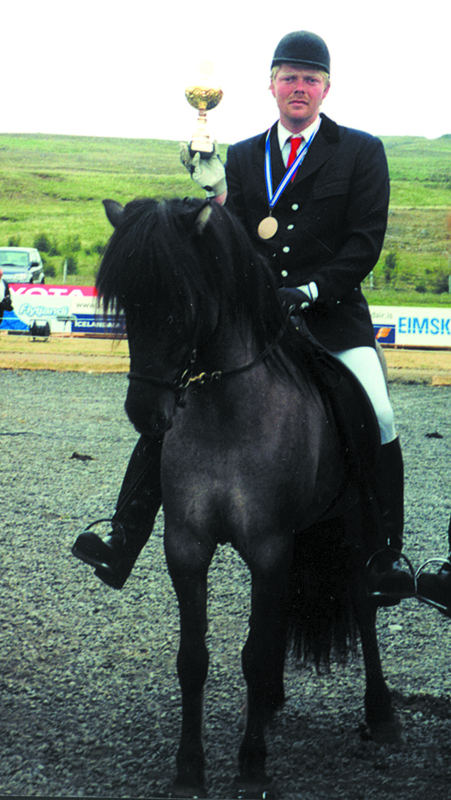 Flauta frá Horni was on the fourth place in the class of 7 year an older mares on Landsmót 2002 in Vindheimamelar. She is a supple and spirited fivegaited mare with fantastic tölt. 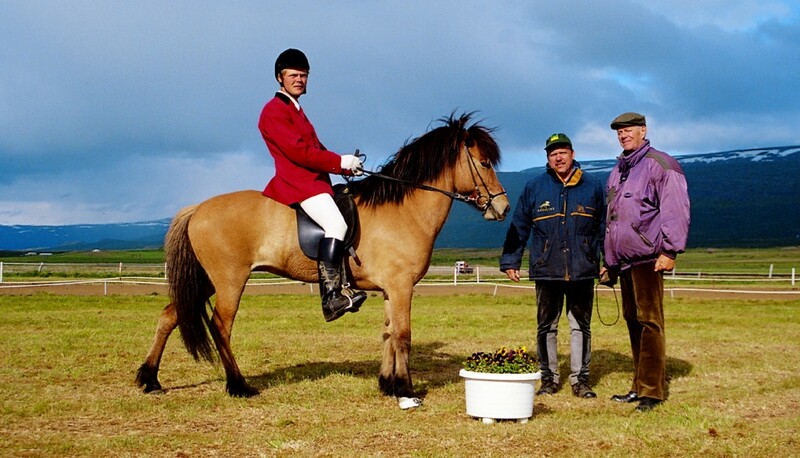 A true gæðingur! 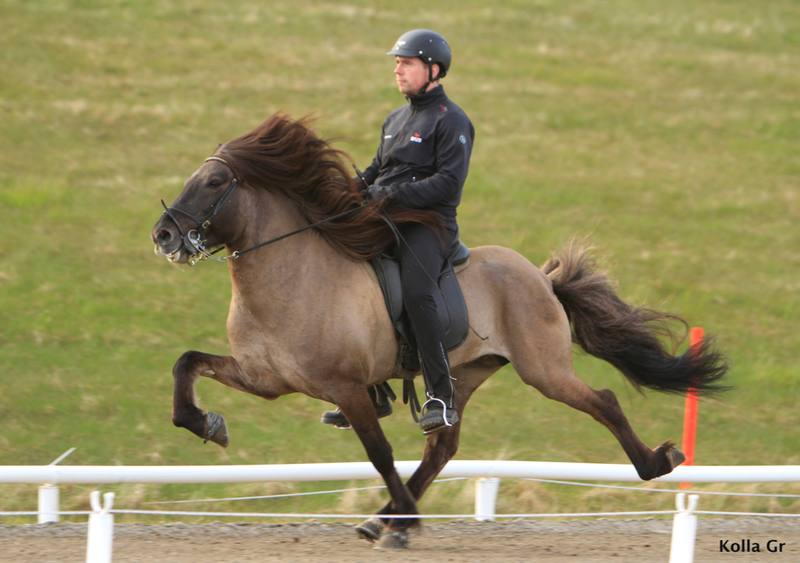 Skör frá Eyrarbakka is a mare out of the breeding of Skúli Steinsson in Eyrarbakka. 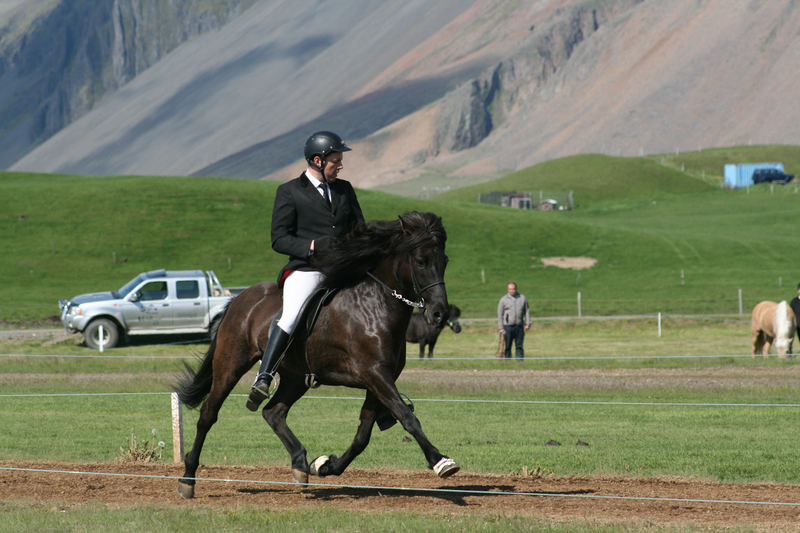 She was on the first place in A-flokkur, Gæðingakeppni on Fjórðungsmót Austurlands in 1999 and is probably one of a few mares, who won on such a big competition. 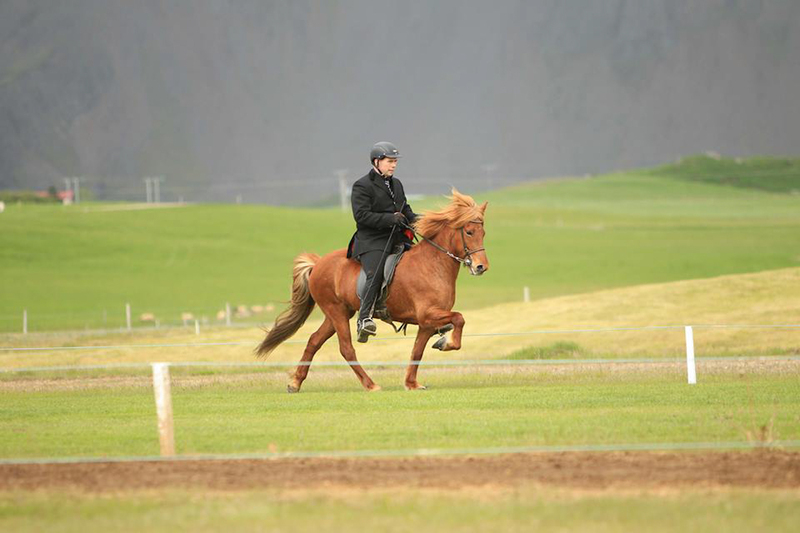 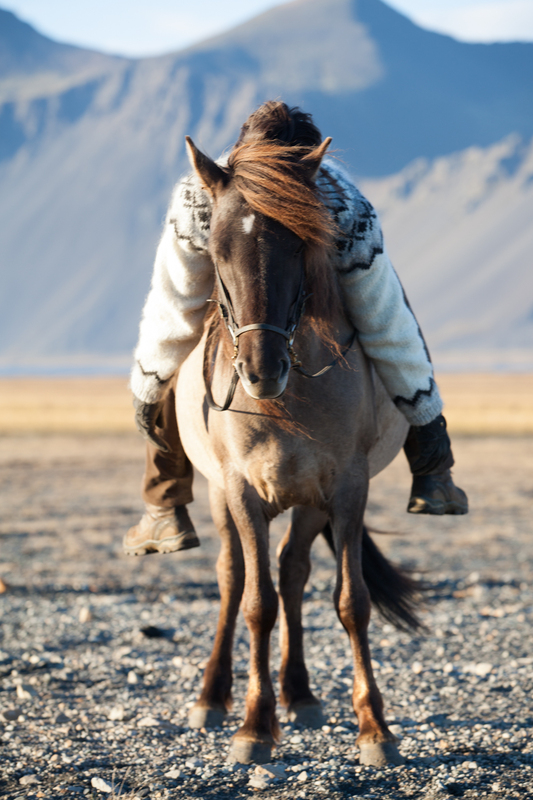 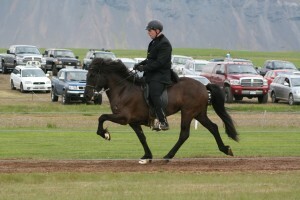 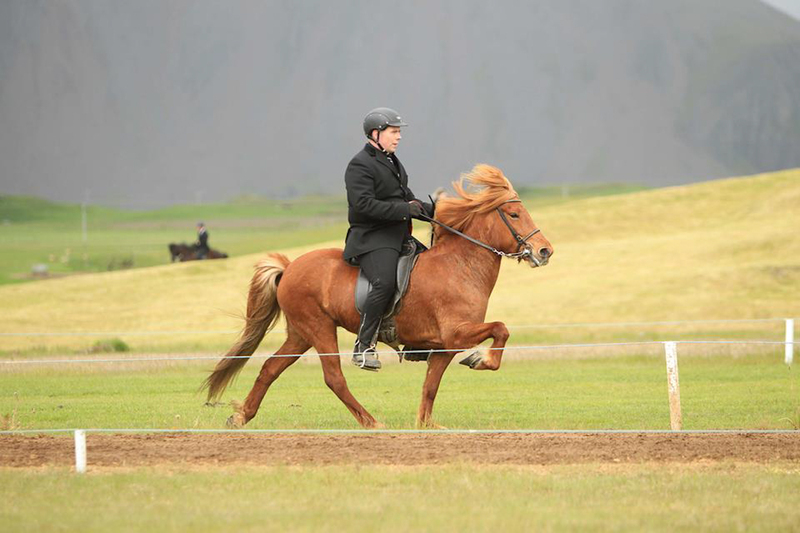 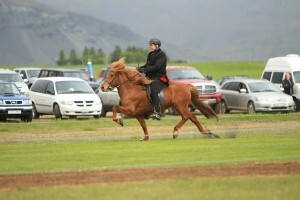 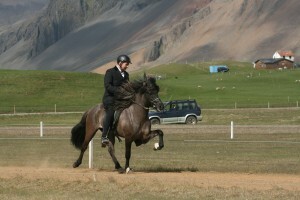 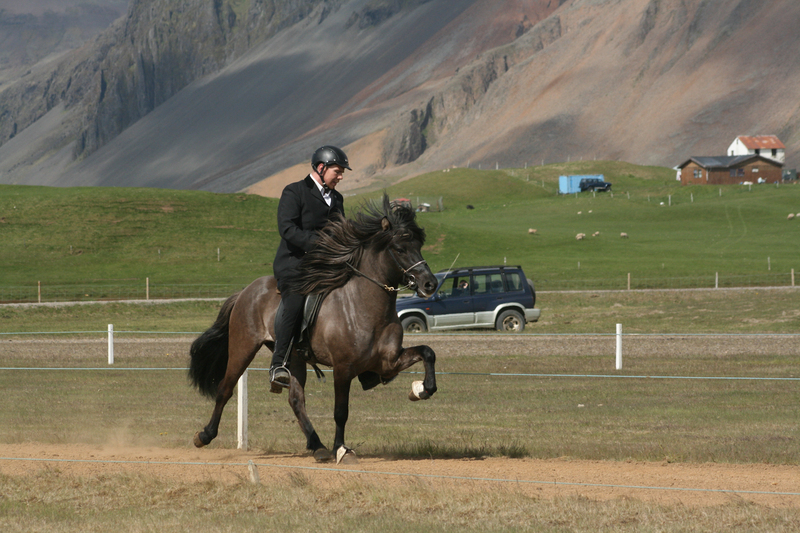 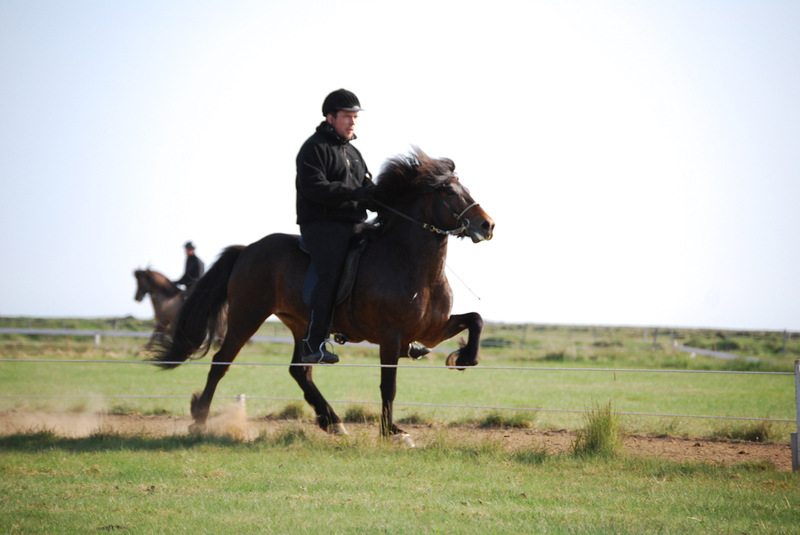 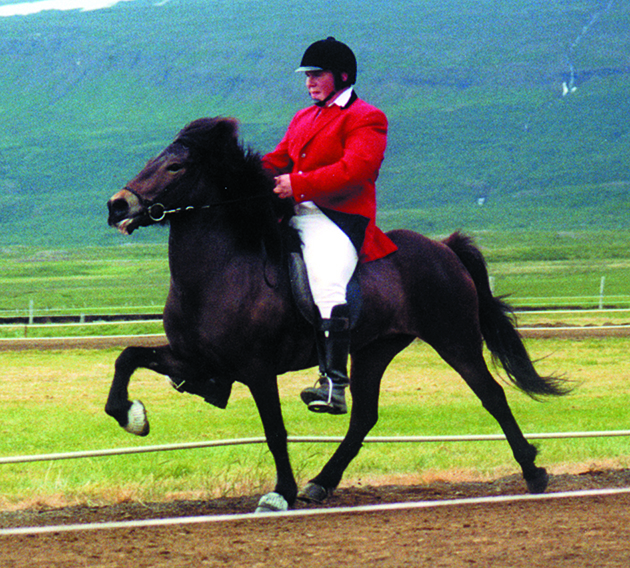 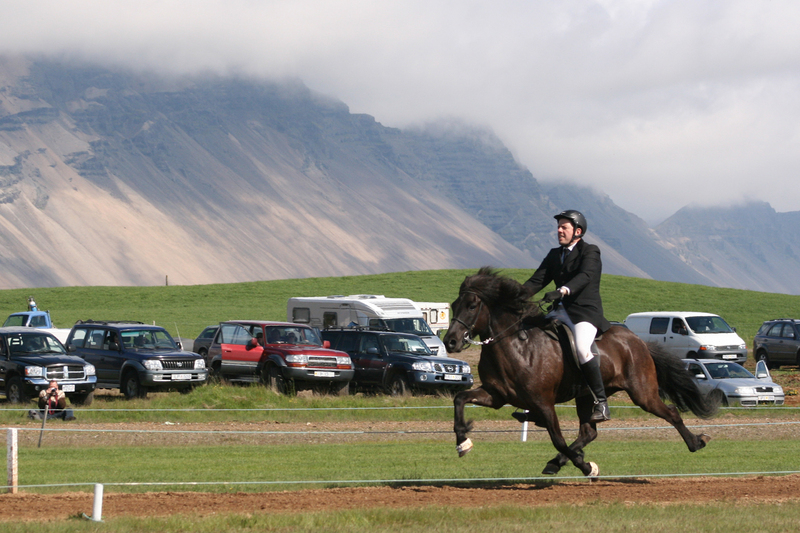 Möl frá Horni is a four gaited mare out of the old Hornafjörður breeding line. 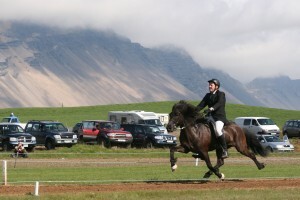 She was on the second place in B-flokkur, Gæðingakeppni of the Fjórðungsmót in the east 2003 and has also scored really high in tölt competitions. 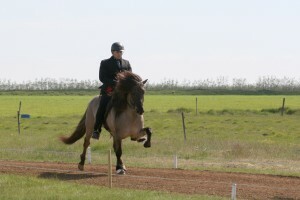 She is a spirited mare with high leg action which has achieved four times 9,0 in the breeding assessment for ridden abilities.